Hanoi (VNA) – The United States Department of Commerce (DOC) has officially levied higher anti-dumping duties on Vietnamese frozen warm-water shrimp exports during the review period starting February 1, 2014 to January 31, 2015. The Vietnam Competition Authority (VCA) announced that this final decision was taken at the 10th administrative review (POR 10). DOC selected one mandatory respondent, which will be taxed at 4.78 percent. Therefore, voluntary respondents will also have to pay a duty rate of 4.78 percent. Mandatory respondents are exporters selected for individual investigation by the DOC as part of its anti-dumping duty review, whereas exporters that are not initially chosen for investigation, but wish to participate and are accepted by DOC, are voluntary respondents. Meanwhile, the tariff imposed on other Vietnamese firms or exporters not examined as mandatory or voluntary respondents in the POR10, remains at 25.76 percent, said VCA. It added that the United States had significantly increased the duty rate for Vietnamese shrimp in the POR10, from 0.91 percent in the POR9 to 4.78 percent at present, for both mandatory and voluntary businesses. 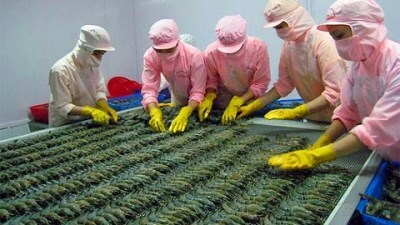 According to Vietnamese shrimp exporters, the higher anti-dumping duties will pose difficulties for their exports to the US market in the future.